She'll do anything for her master, including nag you about coming home early. The video below might look like a movie trailer for a film like Her. Well, it’s not. This guy really has a hologram for a friend that calls him “darling” and checks up on him like an overprotective mother. The hologram is Azuma Hikari, a 20-year old, 58-cm hologram created by Japanese tech company Gatebox. The functions of this virtual home robot are a little more varied than Amazon’s Alexa. Azuma can send you text messages throughout the day asking you to come home early (who needs a paycheck, right? ), and reminds you to bring an umbrella with you (thanks mom). According to her profile, “She is a comforting character that is great to those living alone. She will always do all she can just for the owner.” How thoughtful and sweet. Except she comes with a $2,600 price tag (and her US version will be sold for $3,000). So, caring for her “owner” is the least she can do, right? 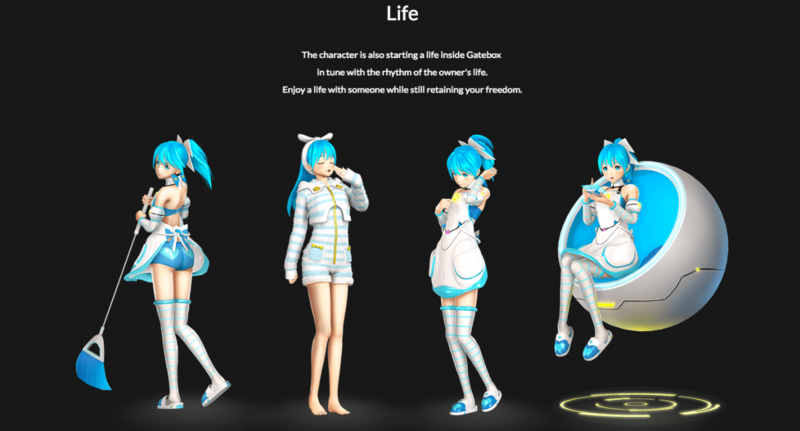 The hologram bot is based on a Japanese anime character, but she isn’t going to be the only character for Gatebox. From the looks of the website, the company is going to make other characters available, presumably also from anime. Azuma’s hologram appears inside the main tube body of Gatebox, projected at a 1280 x 720 resolution. The hardware itself weighs 5kg, has stereo speakers, a microphone, and a camera mounted on top. Azuma is built with a machine learning algorithm, that helps her recognize her “master’s” voice, learn his sleeping habits, and send him messages through Gatebox’s native chat app. Perhaps Azuma will work for some, but she might not cut it for others — going home to a cartoonish AI hologram could take some getting used to. Anyway, Gatebox is certainly trying to disrupt the virtual assistant space. However, we still seem to be far from that holographic projection that we’re really be looking for. For now, let’s just put Azuma with Alexa, Siri, Cortana, and Google Home — a strangely almost-all-female list of virtual assistants.